Don't Scratch That! Ticks, Bee Stings and Mosquito Bites | Checkup | Kids VT - small people, big ideas! Summer is the ideal season for enjoying the great outdoors. Unfortunately, it's also a time when Vermont is teeming with stinging and biting insects. Mosquitoes, bees, ticks, ants and blackflies can all turn a sensational day's outing into a miserable night of itchiness and tears. 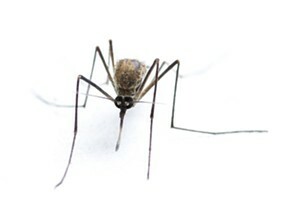 This month, Dr. Lewis First, chief of pediatrics for Vermont Children's Hospital at Fletcher Allen Health Care, offers tips for when the bugs bite. KIDS VT: What's the best way to deal with insect bites and stings? LEWIS FIRST: The best way is to not let them happen to begin with. Don't let your kids outside when bugs love to frolic, which is at sunset and in the early morning. Obviously, you don't want your kids near stagnant water, around uncovered food and especially in gardens with lots of flowers in bloom. KVT: Do certain clothes attract bugs? LF: You don't want to dress your children like a flower if they're going to be out and about in summer. Khaki, beige and olive seem to be less attractive to mosquitoes and other biting insects than light, floral patterns. You also don't want your kids to smell like a flower. Soaps, shampoos and lotions can emit fragrances that bring the bugs over to check them out. KVT: How should parents choose an insect repellent? LF: Any product that contains 30 percent or less of the chemical DEET can be used safely if used sparingly and applied no more often than once every six hours. Studies suggest that once you cross beyond 30 percent DEET, the amount of prevention you get isn't worth the increased risk of toxicity. Make sure not to put it on children's hands in case they put their fingers in their mouths. There's another repellent called permethrin that is very good if it's applied to clothing but less helpful when put onto skin. KVT: When do mosquito bites become more than just a nuisance? LF: When you break open the skin because you're scratching so much, the bacteria on your skin can get into the bite and cause an infection. You can tell your child has developed an infection if there's a fever or red streaks coming off the bite, or the bite itself is oozing pus. That may require antibiotics. KVT: Why are bee stings worse than mosquito bites? LF: Bees inject their stinger with a hook. To transmit their venom, they have to leave the stinger in. What you're going to get at the site is a red lump. It's going to sting and hurt, and it may itch. So the first thing to do is get the stinger out. KVT: How do you do that? LF: Get a credit card and scrape it along the skin, and the stinger should pop out. Or use tweezers and pull the stinger straight out. What you don't want to do is press down on the stinger. Wash the area with soap and water, put ice on it for one to two hours, and administer ibuprofen or acetaminophen for the pain. KVT: When should parents seek medical attention for stings? LF: A bee sting may cause a more severe allergic reaction called anaphylaxis. That's marked by swelling of the face, lips or mouth, difficulty breathing or speaking, chest tightness, wheezing, dizziness, and fainting. If that occurs, you should seek immediate medical help. Families of children with this condition should wear a MedicAlert bracelet and carry an epinephrine (adrenaline) injection that can be self-administered or given by a parent. KVT: Any products to avoid when treating stings and bites? LF: Parents shouldn't use a combination skin-drying agent and antihistamine ointment, such as Caladryl — a combination of Benadryl and calamine lotion — because you don't control the dosage of antihistamine and the child can get sleepy, especially if you apply this ointment too frequently. Ointments or creams that contain 1 or 2 percent hydrocortisone are perfectly fine for reducing localized inflammation. KVT: How widespread is Lyme disease? LF: Lyme disease is here. About a couple hundred cases per year are reported in Vermont and upstate New York. The key is prevention. Avoid areas where deer ticks hang out, such as at the edges of woods. If children are going into wooded areas, they should wear long pants and long sleeves and spray their clothing with permethrin. The deer tick, which carries Lyme, is about the size of a pencil point. The good news is that only about 8 to 10 percent of the people who get bitten by deer ticks get the disease, because it takes about 48 hours for the tick to inject the bacteria into the blood system of the victim. Usually by that point, the tick has either fallen off or you've removed it. KVT: What's the best method for removing a tick? LF: Get a pair of tweezers, grasp the tick as close to the skin as you can and pull upward with steady pressure. Don't puncture it, squeeze it or crush it. Don't use nail polish, alcohol or a match. It'll cause the tick to burrow even deeper into the skin, making it harder to remove. Then clean the site with alcohol. KVT: What are the signs of Lyme disease? LF: Usually within a week or two, there's a bull's-eye rash — a rash with a red center, white ring and red border. It may be accompanied by fever or fatigue. But Lyme disease in children when diagnosed by a history of a tick bite or the bull's-eye rash is treatable with antibiotics long before it can cause serious complications.